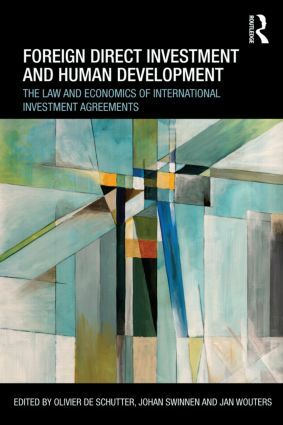 This book presents original research that examines the growth of international investment agreements as a means to attract foreign direct investment (FDI) and considers how this affects the ability of capital-importing countries to pursue their development goals. The hope of countries signing such treaties is that foreign capital will accelerate transfers of technologies, create employment, and benefit the local economy through various types of linkages. But do international investment agreements in fact succeed in attracting foreign direct investment? And if so, are the sovereignty costs involved worth paying? In particular, are these costs such that they risk undermining the very purpose of attracting investors, which is to promote human development in the host country? This book uses both economic and legal analysis to answer these questions that have become central to discussions on the impact of economic globalization on human rights and human development. It explains the dangers of developing countries being tempted to 'signal' their willingness to attract investors by providing far-reaching protections to investors' rights that would annul, or at least seriously diminish, the benefits they have a right to expect from the arrival of FDI. It examines a variety of tools that could be used, by capital-exporting countries and by capital-importing countries alike, to ensure that FDI works for development, and that international investment agreements contribute to that end. This uniquely interdisciplinary study, located at the intersection of development economics, international investment law, and international human rights is written in an accessible language, and should attract the attention of anyone who cares about the role of private investment in supporting the efforts of poor countries to climb up the development ladder. What type of foreign direct investment is attracted by bilateral investment treaties?